Palma de Mallorca is a vibrant city with a lively cultural program all year around. In a previous blog post on our Palma Guide, we told you all about art galleries in Palma that we absolutely love and recommend. Our love for art has also taken us share our favourite local artists with all of you. And today we are here to talk about art (again!). But we’re recommending two of the museums you have to visit while staying with us at Nakar Hotel, in Palma’s centre. There are many museums and tons of art galleries that are well worth a visit in Palma. But we are ready to narrow it down for you and recommend you two museums that are no-question-asked a big must while visiting the capital city of the Balearic Islands. 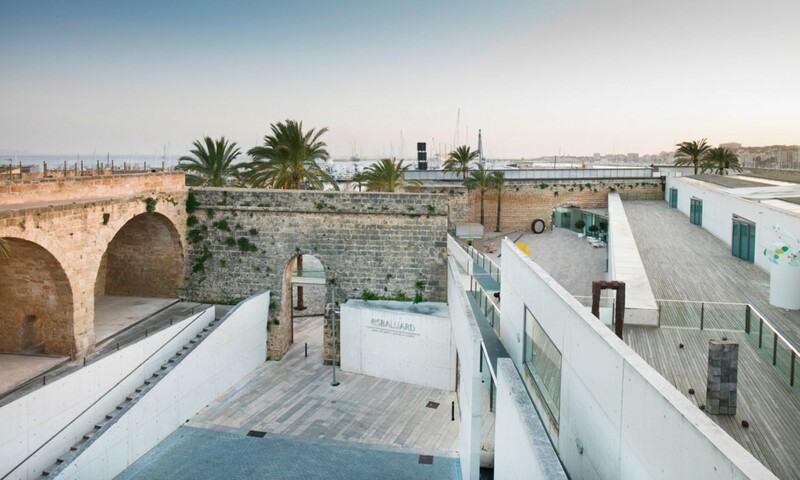 We will start with the one near to Nakar Hotel: Es Baluard. 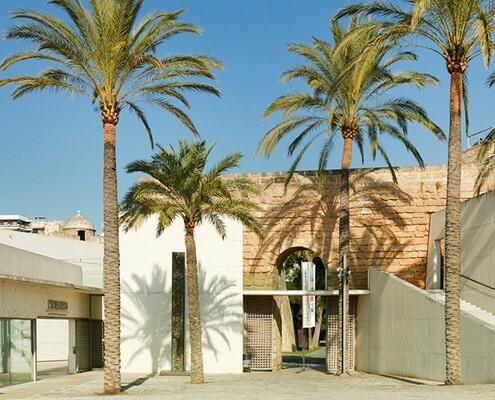 Only a 3-minute walk away from our design hotel in Palma, Es Baluard is Palma’s museum of modern and contemporary art. It has a collection of over 600 works of modern and contemporary artists. 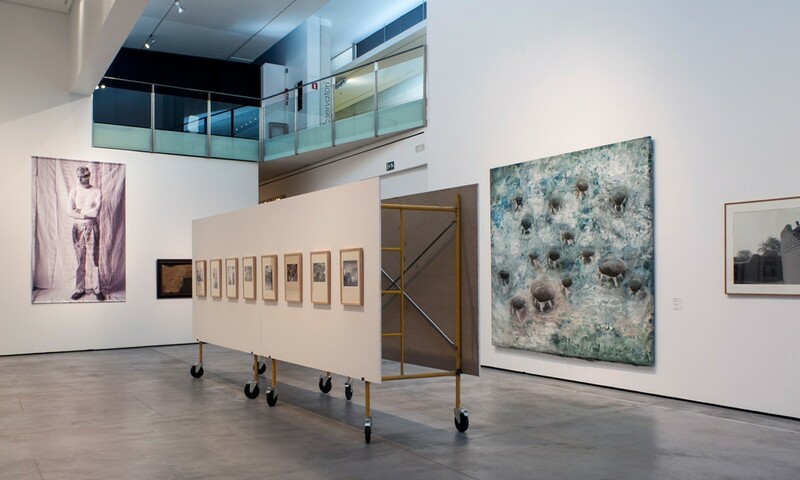 With one permanent collection and at least three changing exhibitions, Es Baluard stands for tradition, history, a vanguard vision and contemporary creation. The building itself is already worth a visit, as inside the ‘white box like’ exhibitions space offers a unique feeling while experiencing and living through every piece of art. Its location, at the square of Porta de Santa Catalina, at the end of Paseo Mallorca, makes it an exceptional site at Palma’s bay, offering unique views of the sea, the cathedral and the Bellver castle. 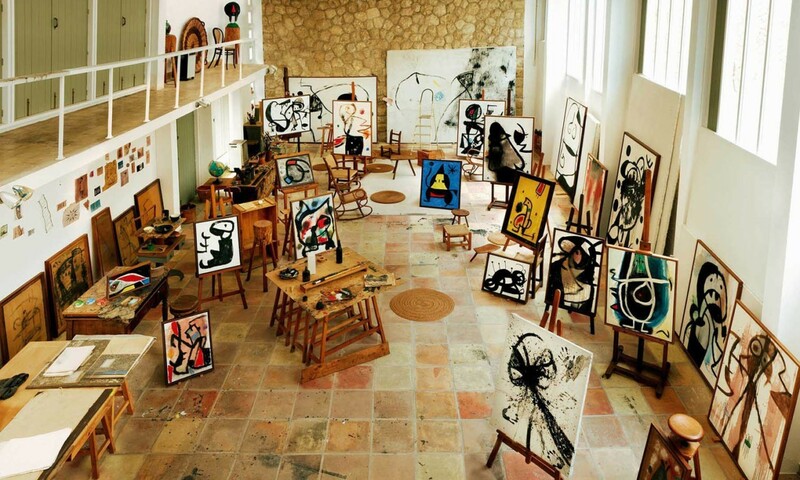 Another museum we recommend for you to visit while staying in Palma, is the Joan Miró Foundation. As you may know, Joan Miró’s adoptive city was Palma de Mallorca. In 1956 Joan Miró took up residence on the island of Mallorca, where he would be intensely productive until his death in 1983. This foundation offers visitors an insight into his artwork and underlying creative process in the place where the artist lived and worked for almost 30 years. 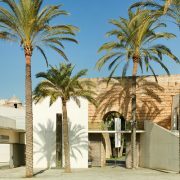 If you need any directions on how to get to one of these museums, if you’re looking to visit other museums or art galleries or if you need any other type of information regarding what to see and do in Palma, you can visit our Palma Guide section or approach us at the front desk, we will be happy to help!